The Rise of the Planet of the Apes! Don't be scared, I'm just using your car as an arm rest. I TOLD you- we should've taken care of the environment! 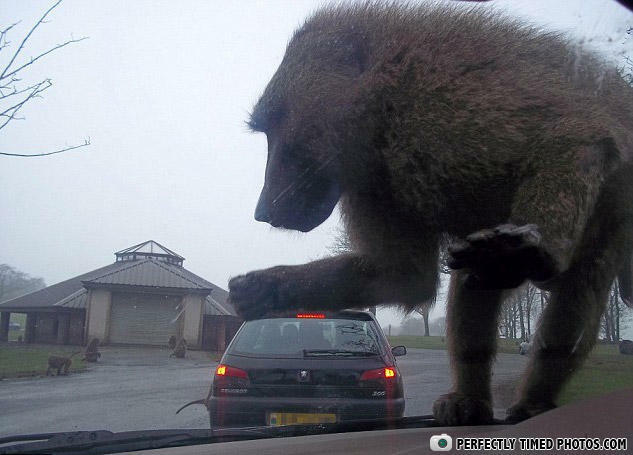 This is why you don't mess with Boss Baboon. Wow these customs inspections are really getting strict lately.